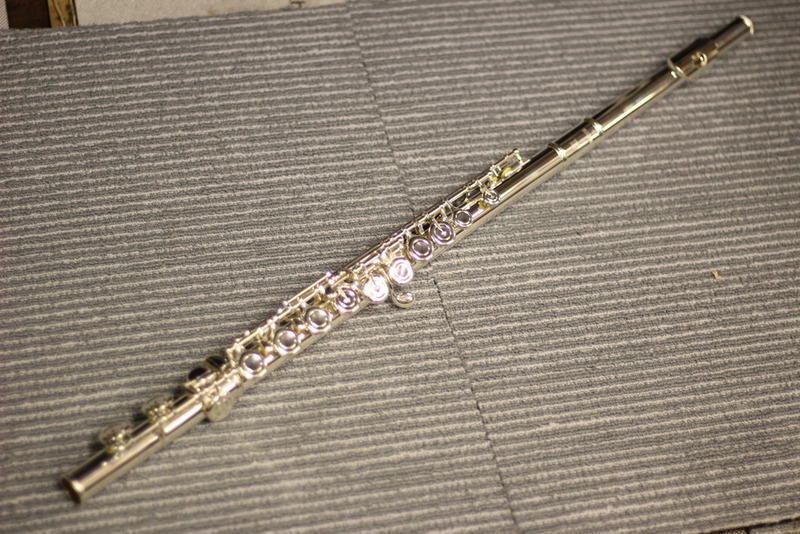 The flute I use in this guide is the Yamaha 312 model. There are three parts to a flute, the headjoint, the body and the footjoint. It is important to assemble the joints together in the correct way and to never force the joints together. 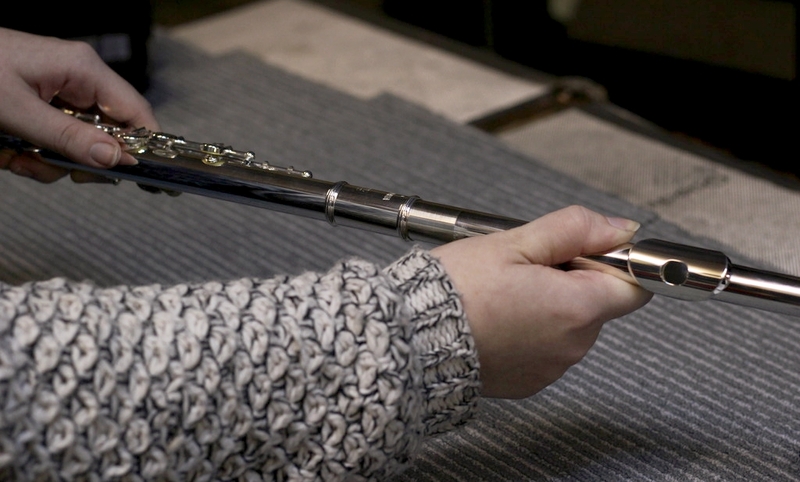 Before we put the flute together, we need to make sure the joints are clean, wiping them with a silver cloth will ensure that the joints ease together without any difficulty. The head joint attaches to the body. When assembling, we want to twist the two together gently. No force should be applied, if you are finding it to be stiff, wipe the joint over with the silver cloth and try again. 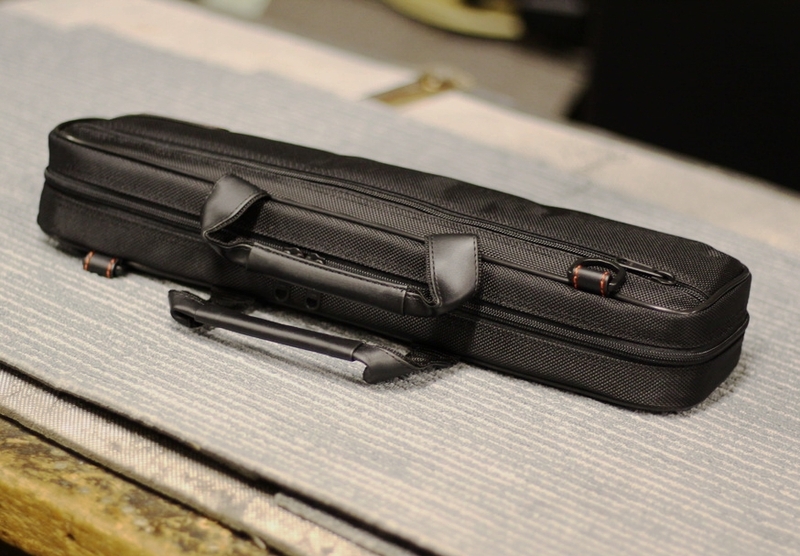 When assembling, avoid holding the flute by its keys. When lining up the head and body joints, we're looking for the hole on the lip plate to be lined up with the first key of the body joint. Some beginner flutes have little arrows on the edge of each joint to help you line it up correctly. The foot joint fits onto the other end of the body. Again, this needs to be assembled by twisting the two joints gently together. 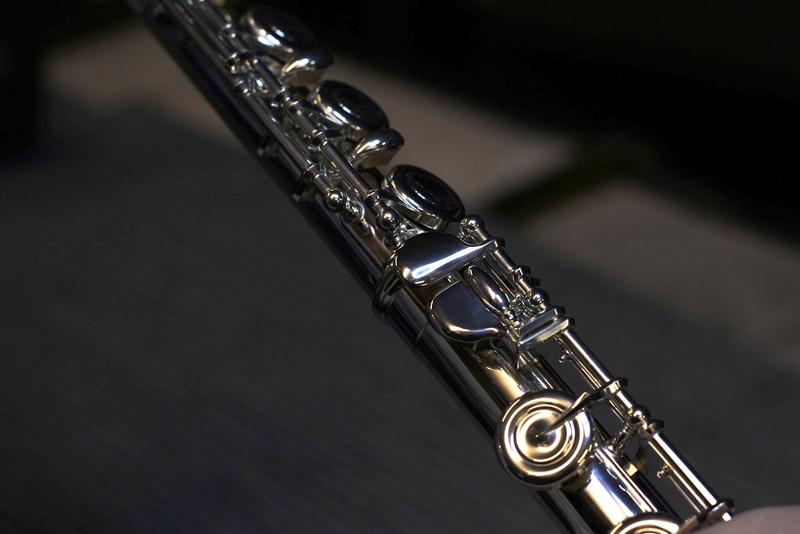 It is especially important that both joints meet at a straight angle, as if not, this can cause damage to the flute and it would have to be repaired. When lining up the foot and body joints, we're looking for the first key of the foot joint to be on a slight angle (towards the right) with the keys of the body. 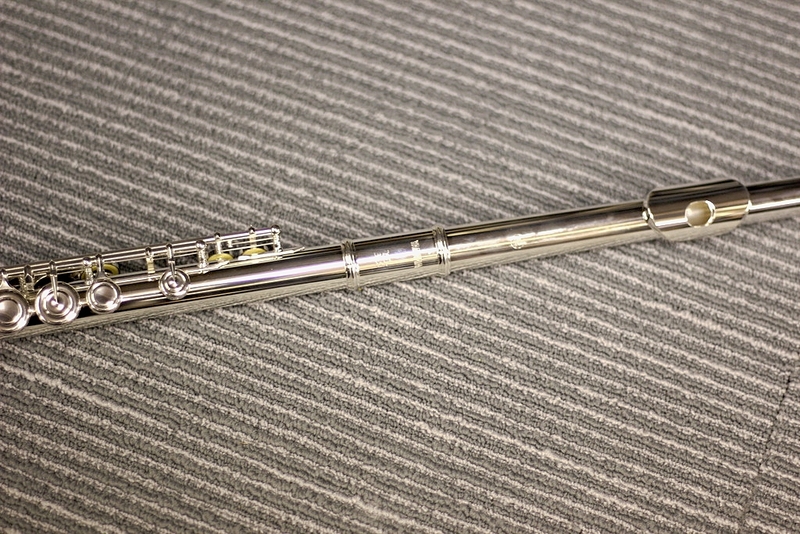 Your flute is now set up and ready to play. 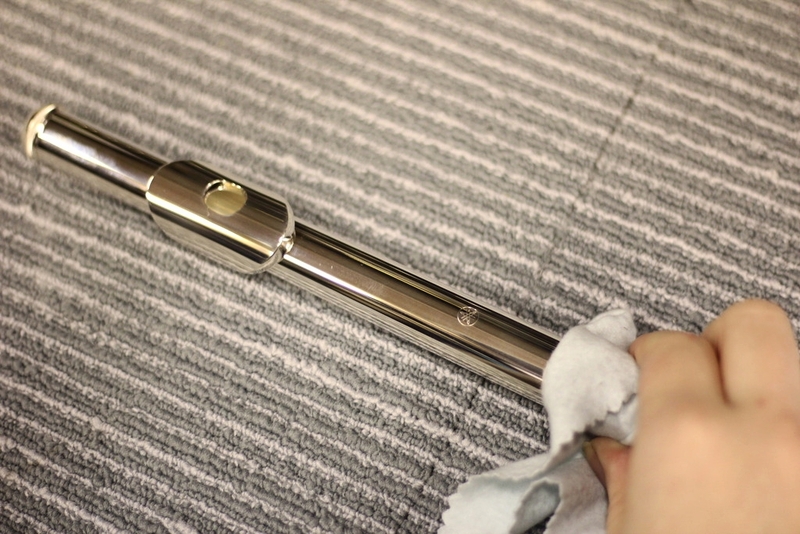 When you've finished practising, always remember to clean your flute before putting it away. 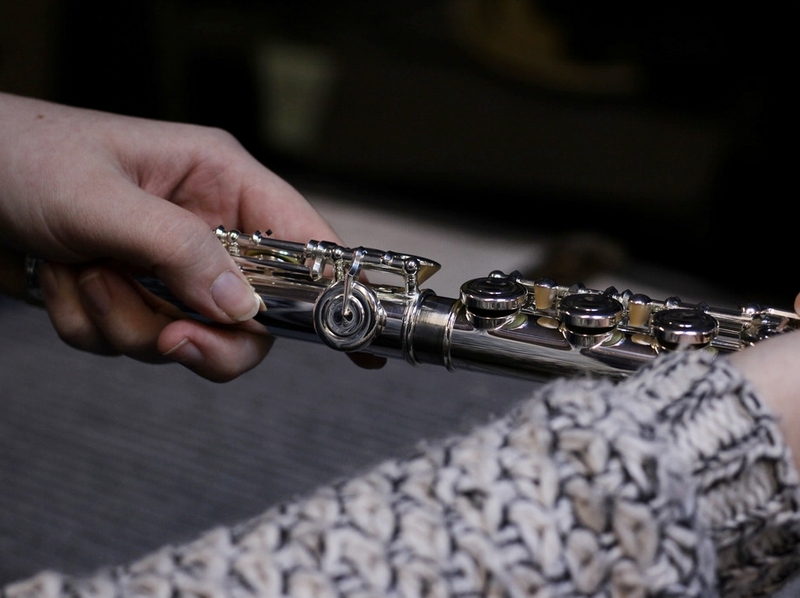 Keeping it clean will improve how your flute feels to play. You are less likely to damage the pads and the outside will look clean and new looking. 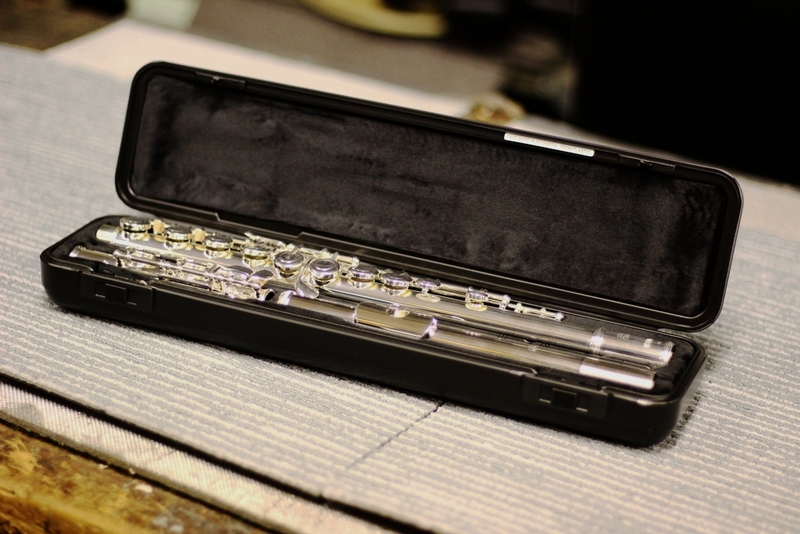 See the "How to clean your flute" guide to see some handy tips on keeping your flute in tip top condition. Dissassemble your flute using the same technique that we discovered through putting it together. Twist the joints apart gently and remember to never force them. If you have any questions, please do not hesitate to get in touch. We're always happy to help.